Your kids will be asking you if they can go to bed (that never happens, right?) 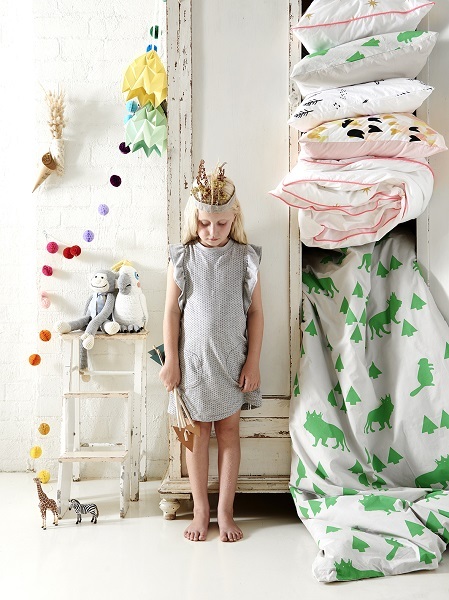 when they see this wonderfully whimsical bedlinen range from newbie Australian label Little Yawn. We have big love for Little Yawn. 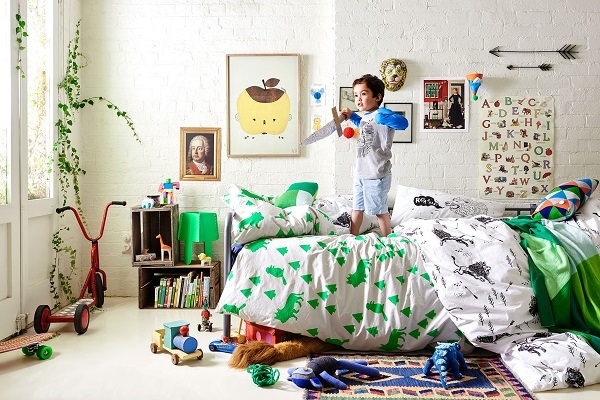 This just-launched company has created a range of kid’s bedding that is quite simply magical – and all handmade and printed in Melbourne. The first collection is inspired by the C.S. Lewis classic The Lion, The Witch and The Wardrobe, which means a nighttime trip to Narnia can come true for your little ones. Think golden unicorns, little green beavers, metallic stars, magical arrows and roaring lions. It’s the stuff children’s dreams are made of. 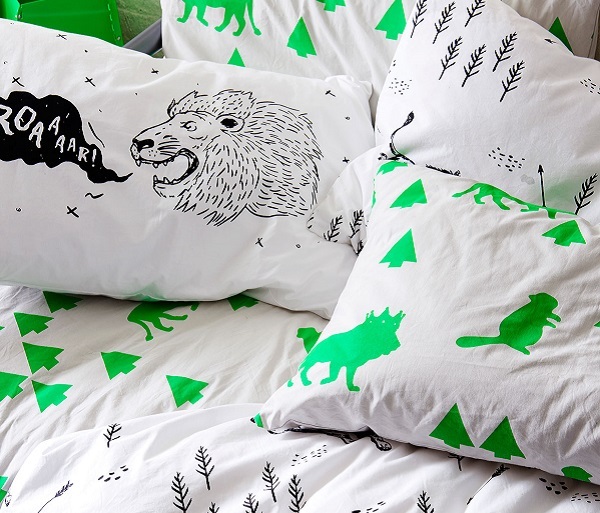 Actually, never mind the kids, I’d love a set of this linen for my own bed! 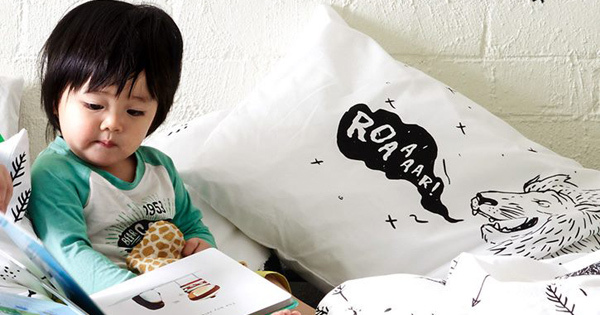 Little Yawn is the bedlinen ‘baby’ of sisters Natalie and Lynn Cheng; one a top designer, the other a fashion buyer. Both of the sisters’ children are highly allergic and they struggled to find quality kid’s bedlinen free of toxins – and so the creative duo developed their own bedlinen label using certified organic cotton imported from a community of families in India. Every item in the Little Yawn collection is hand screenprinted in their Melbourne studio using non-toxic, water-based dyes (no harmful chemicals here). Fairtrade, eco-friendly and utterly gorgeous. Little Yawn’s unique and imaginative artwork has been created by a local collective of artists, designers and illustrators. 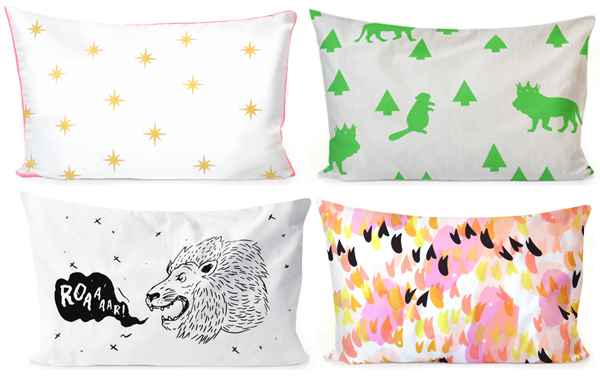 The dreamy designs include Metallic Gold Stars, Mr Beaver, ROAR! 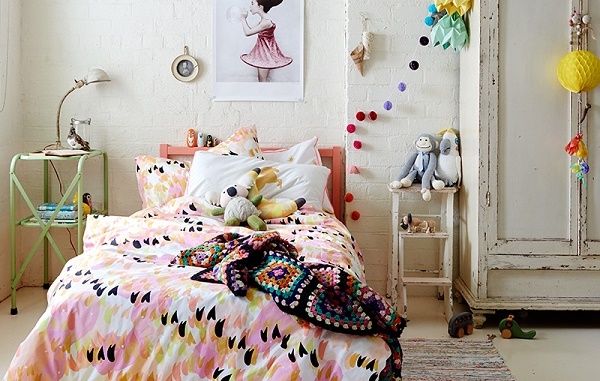 and Spring Feathers (as shown on the pillowcases below). Bedtime becomes a world of imagination and make believe with these colourful and creative designs. This lovely linen range includes standard single quilt covers, priced $169, and pillowcases at $39 each. A selection of fitted cot sheets are also available, priced $59. Check out Little Yawn‘s website to view the entire range. BTW. Even Little Yawn’s packaging is made in Melbourne – from non-toxic recycled paper, of course. We love stylish products that are sustainable, too.